A Year of Being Here: Laura Grace Weldon: "Rutabaga"
blushing at what you become. to sweeten with the frost. one that knows music and art. what makes you a rutabaga. gain your seed’s perfect might. 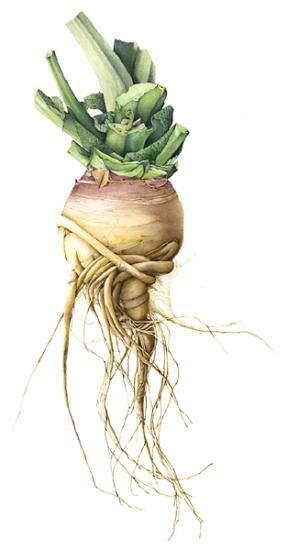 "Rutabaga" by Laura Grace Weldon, from Tending (Aldrich Press, 2013). © Laura Grace Weldon. Presented here by poet submission. Art credit: "Rutabaga," unknown medium, by Lara Call Gastinger. © Lara Call Gastinger, 2004.